Bone grafting plays an important role in dental regeneration. 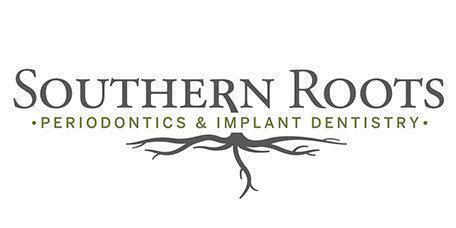 Dr. Brandon Frodge of Southern Roots Periodontics and Implant Dentistry is Atlanta, Georgia's leading expert on bone grafting in patients of all ages. What Role Does Bone Grafting Play in Periodontics? The bones in the human body are remodeling all of the time. The body is constantly depositing new bone cells and reabsorbing old ones. When a person is missing a tooth, the bone in the jaw where the tooth was implanted begins to reabsorb without regenerating. A person with significant gum disease can also experience reabsorption because of diseased gum tissue and bacteria that affect the bone’s health. Bone grafting is done when the bone that supports a tooth is lost to the point where it can no longer support a tooth or implant. How is Bone Grafting Done? Bone grafting can be done in Dr. Frodge’s office. A small incision is made in the gums where the bone loss is occurring. Dr. Frodge then inserts processed bone material into the space, giving the body a place to deposit new bone cells. This grafting material may be powder, granules, putty, or gel depending on the amount of bone loss that has occurred. It can also come from your own body, but more often it comes from a human or animal donor. The material is treated in a laboratory to make sure it is safe and sterile before it is implanted. Once the implanted bone material is in place, it is covered by a collagen membrane which acts as scaffolding for the new bone. How Can Bone Grafting Help With Dental Regeneration? Severe periodontal (gum) disease can cause bone loss leading to loose teeth. Loose teeth are always at risk of becoming lost. In order to save them, the bone around the tooth can be regenerated through a bone graft. Not only does this new bone support the existing tooth, it can help keep it in place, giving the patient stronger, healthier teeth.